That cassette was requested a while ago by Wackelpeter. 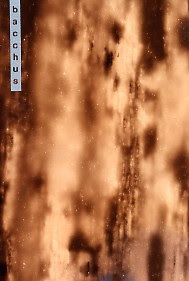 "Audience Of The Souldestroyers" was originally released on cassette in 1981. 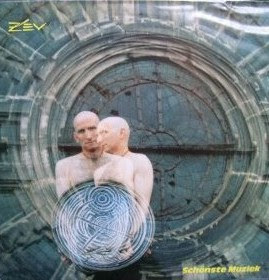 That Z'EV LP has never been re-released on CD, and that's a pity ! "Second Edition" is the remix of "This Is Fun", the previous post. 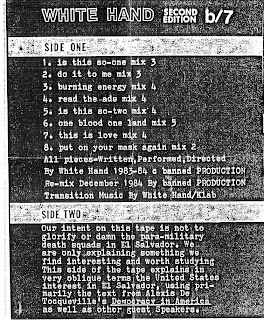 "After all 20 are sold, this version of the mix will be destroyed and the master tape will be re-mixed, re-edited and re-packaged. The subsequent cassette will be marketed under a different title and serial number." 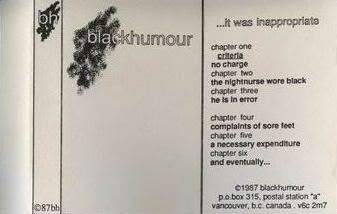 "in june 1988, blackhumour travelled with g.x. jupitter-larsen from vancouver to san francisco to perform on a bill with amk/gx and the haters at the now-defunct 455 gallery, as part of blackhumour's entropy in action series of live audio performances. 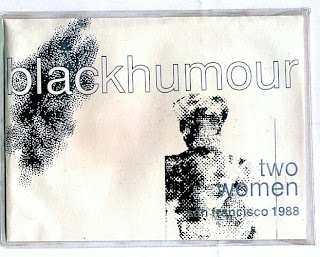 during that visit, blackhumour conducted a series of interviews with young women working in one of the tenderloin's higher-class massage establishments, women who shared generously their unique voices with bh. 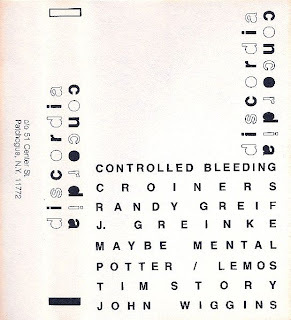 these interviews were used as primary source material for penetration (harsh reality music, 1990). 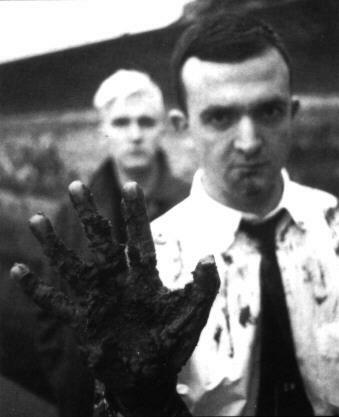 several sketches using that material were also done at this time, among them a series of extended audio-portraits using techniques developed during the recording of breathing like marcel (corrosive tapes, 1987). those familiar with these works should recognize some shared themes. 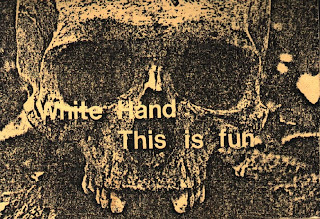 blackhumour audio uses found object human voice, analog and digital editing only. no effects; no reverb. no speed- or back-masking." 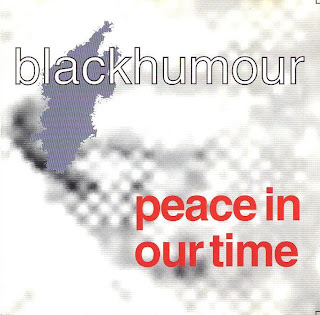 "The blackhumour audio project had its beginnings in early 1982 with the first few experiments I was doing on my teac 4-track reel-to-reel recorder. The resulting early pieces were not so good, but some of the pieces which were done with my then audio-partner, somebody else, were successful. 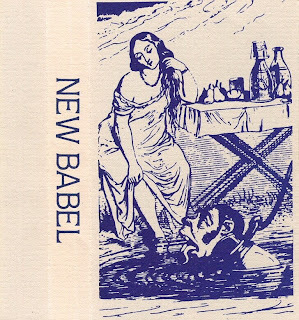 Two of these pieces, 'murder', and 'trade and commerce', are included in the retrospective of early bh work, 'radical positive' (banned productions). 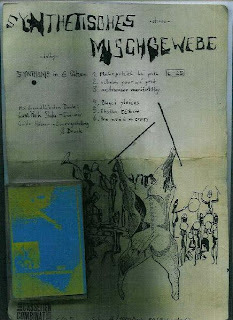 This release also shows the evolution of the blackhumour approach away from treatment/effects techniques of any kind, such as equalization, reverberation. Flanging, echo, etc., and the choice made by blackhumour to use as its sole sound-construction source the use of 'found-object' human voice only, with the exclusion of such tape techniques as speed-masking (speeding up or slowing down the sound of the voice) or back-masking (the notorious technique of playing the voices backwards). Since 'snakes in an atheist's grave' (1984), NO blackhumour piece has used anything other than found object (spoken) human voice and editing techniques. (since 1986, digital editing has been included, thanks to inexpensive digital sampling.) I wanted the sound source to be absolutely basic. The human voice speaking was about as basic as i could get. The rationale being that we are constantly hearing speech, whether it is from others, or simply the sound of our own voices in our ears." That CD was previously released as a cassette in 1988.